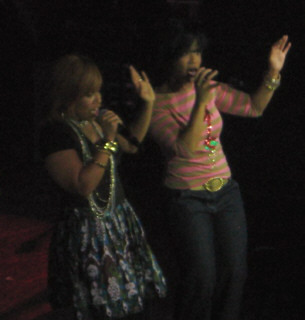 This was the second time for Traci and me going on the One Love Gospel Cruise organized by Radio One. We had not done this cruise since 2006. 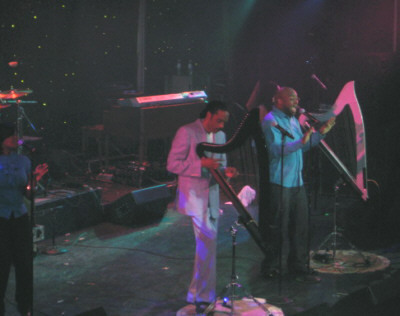 Unlike in 2006, Radio One was able to charter the entire ship. 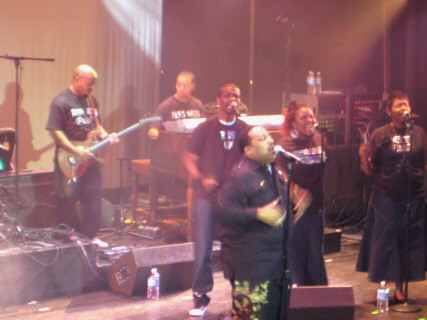 This enabled them to provide more variety and flexibility with the gospel activities and concerts. I was hoping that with Radio One having the whole ship, the majority of the artists would perform with their bands instead of pre-recorded tracks. Unfortunately, the opposite was true. A majority of the artists used tracks. 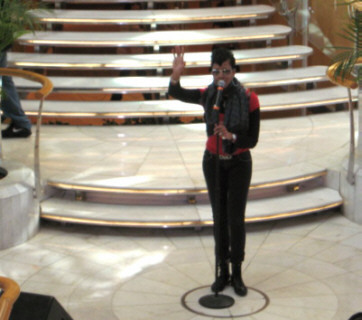 Other than that, the One Love Gospel Cruise was a fun winter getaway. 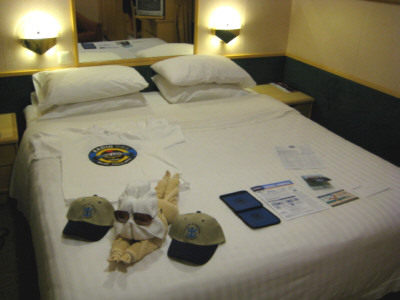 The five-day cruise left from Tampa, Florida on Monday, March 2, 2009. The cruise was actually the second leg of a winter vacation for Traci and me. We had spent the weekend in Fort Worth, Texas where Traci ran a half-marathon (13.1 miles) in the Cowtown Marathon. We also did some sightseeing in Texas, which was unexpectedly cold, before flying to Tampa Sunday night. It wasn't until we arrived in Tampa that we realized how fortunate we were that we had flown from Texas and not from Philadelphia. The East Coast between Maine and Georgia was getting slammed by a winter storm that caused flight cancellations and major delays all over the country. The Tampa airport was full of frazzled passengers that were trying to make hotel reservations after they learned their flights had been cancelled. It took almost an hour for the hotel shuttle to pick us up from the airport but this was a minor inconvenience compared to the horror stories we heard from other passengers on the shuttle. There were some people on the van that would not be able to fly home to Boston for two days because of the storm. After spending a relaxing night in the Tampa Marriott Westshore Hotel and enjoying a great take-out dinner from the Green Iguana across the street, we caught a taxi to the cruise terminal the next day. As soon as we pulled up to the curb, the porters started grabbing our luggage and putting it onto their carts. This is the normal procedure for all the cruises we've been on but Traci did not like the aggressiveness of these porters that day so she asked for our luggage back. As a result, we ended up carrying our own bags onto the ship, all along being warned by various cruise personnel that our suitcases might not fit through the security scanners. Well, they did fit (barely) and we were able to take them to our cabin without the normal wait of up to several hours for all our luggage to be delivered to our cabin. 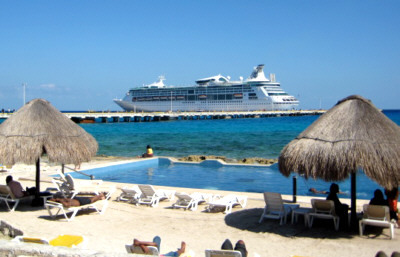 We sailed on Royal Caribbean's Grandeur of the Seas. The ship was sailing with 1900 of its 2400-guest capacity. The ship left Tampa at 8 PM instead of the scheduled 5 PM departure. The goal was to give passengers affected by the snowstorm a chance to make it to the ship. Even still, about 100 people still did not make the cruise. We met one lady whose friend never made it because she decided not to take her delayed flight knowing it would have arrived in Tampa after 5 PM. Unfortunately, she did not know the ship was delaying departure. I sure hope she had purchased trip insurance. For this cruise, Traci and I booked an inside cabin (no windows). It was about $300 cheaper per person than an outside cabin (with a window). We figured we would not spend much time in the room. For the most part, we did not. However, I do not recommend an inside cabin for someone who is claustrophobic. After dropping off our belongings in our room and meeting our friendly Colombian cabin attendant, Traci and I headed to the Windjammer Buffet to get something to eat. Even though it was about 3 PM, it was our first meal of the day. Traci was very astute at recognizing the gospel artists. When she returned from the buffet line, she told me she said hello to Donnie McClurkin who was in line in front of her. She then asked me if I saw Martha Munizzi. When I told her I hadn't, she laughed and said Martha Munizzi is sitting at the table next to us. Duh! Sure enough, there she was with her family. Now that we had some food in our stomachs, we decided to explore the ship. Traci took a guided tour of the spa facilities while I made my way to the pool deck for the Sailaway Party hosted by Yolanda Adams. It was cold on the deck. I needed to run back to the cabin for my hoodie and jacket. I never saw Yolanda at the party but I noticed many people wanted to have their picture taken with one guy at the event. I did not know who he was but I found out later he was Marcus D. Wiley from the Yolanda Adams Morning Show. The concerts took place either on the steps of the Centrum, in the medium-sized South Pacific Lounge, or in the grand Palladium Theater. Some began at 6 PM while others began around 8:30 or 9 PM. In either case, the concerts lasted 3 to 4 hours. The shows were repeated the next evening at different times to work around the dining assignments (6 PM or 8:30 PM) for the guests. There were no long lines for the concerts like on the Tom Joyner Fantastic Voyage Cruise probably because the ship wasn't full. The doors normally opened about 30 minutes in advanced. Since Radio One chartered the whole ship, I was looking forward to seeing the artists perform in front of their live bands. 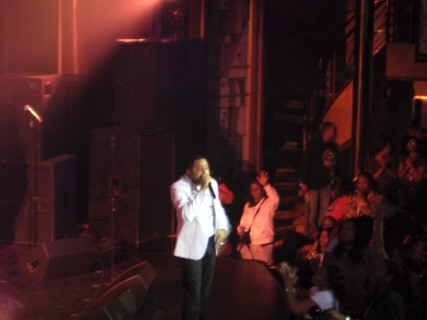 I was encouraged on the first evening in the Palladium Theater when Smokie Norful, Mary Mary, and Marvin Sapp each did exactly that and did an outstanding job. Unfortunately, the concerts I saw at the Centrum and South Pacific Lounge were performed to pre-recorded tracks - kind of like karaoke. As a musician, this was disappointing to me. I was even more dismayed when I attended the second concert in the Palladium Theater and witnessed artists singing to tracks. 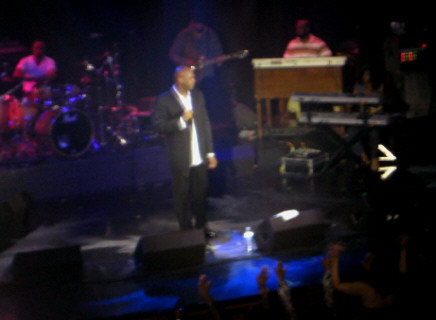 The exception was Donnie McClurkin who, along with his live band, delivered the best performance I've ever seen. We went back to hear him again the following evening. There was also a comedy show featuring Marcus D. Wiley, Griff, John Gray, Veda Howard, and Chinita Morris (formerly Chocolate). All of the comedians were clean (no profanity) and hilarious. I really enjoyed the show.